Visitors to the Lake District, including parties of school pupils, will soon be about to ‘disappear’ into the countryside while enjoying fabulous views thanks to glass lifting expertise delivered by Hird. 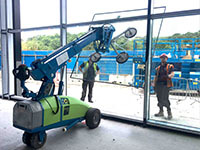 The glass lifting, mini crane, and powered access specialist is helping contractors install windows in the new South Camp Centre at Ulverston YMCA on Lake Windermere. 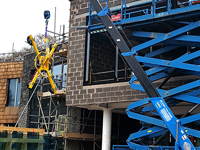 Hird is using its Maeda MC-285 CRM-2 tracked spider crane, combined with a Woods Powr-Grip MRTA8, to lift the glass panels into place at the new hostel accommodation in Cumbria. The new South Camp is designed to accommodate 192 people in separate male and female quarters in eight separate wings. 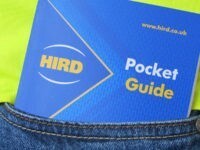 Schools also benefit from improved safeguarding, en suite bedrooms, wet and dry entrances and activity rooms. The £6.8million development is designed to be highly-sustainable with excellent energy conservation and structures made with dry-stone walls and glass roofs, so they ‘disappear’ into the landscape. 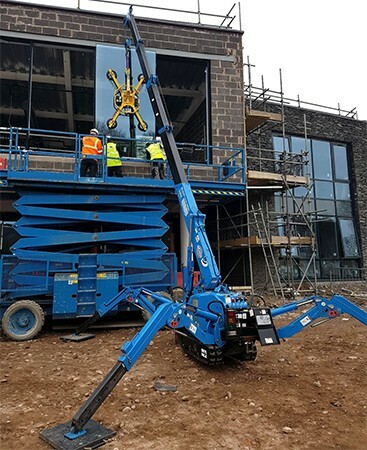 Hird has supplied a Maeda MC-285 mini crane, along with a qualified and experienced operator, to support the installation if thermal glass in the new building. 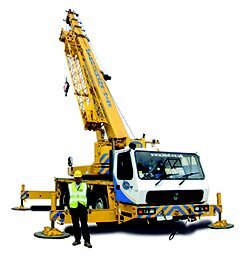 The spider crane has a maximum safe working load of 2.82 tonnes, a maximum working height of 8.7 metres, and a maximum working radius of 8.2 metres. This allows it to install multiple windows without having to be relocated. 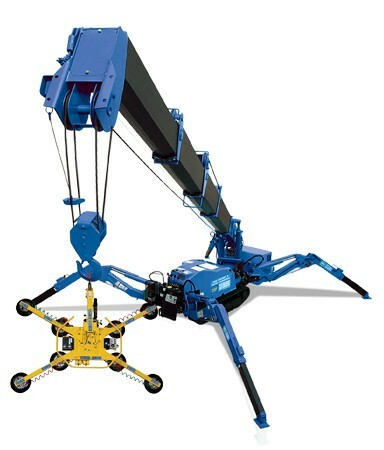 At just 750mm wide when stowed in travelling mode, the spider crane can be guided through single doorways, and its outriggers give it excellent stability and low load-bearing capability on soft and uneven ground. Combed with the Woods Powr-Grip MRTA8 glass vacuum lifter, the mini crane makes light work if glass installation projects. It has a maximum load capacity of 635kg and can be configured in many different positions to accommodate varying load sizes and shapes. The vacuum lifter also has a four-bar tilt mechanism, which reduces the effort needed to tilt loads between horizontal and upright positions and automatically maintains load position, which enhances operator safety. 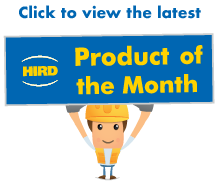 The MRTA8 can also be fitted with Woods Powr-Grip’s Intelli-Grip system, which reduces the risk of human error by warning of vacuum leaks and low battery levels before they become a hazard and improves productivity through sophisticated management of power use.